Acknowledge Positive Movements is a camp that “helps students achieve their dreams.” Through nurture and care, the aim of the camp is to make sure that the campers find their passions and develop them. Two children both named Nathan are making silly faces in front of the camera. In the morning, all the kids are brought into the gym to play a high-energy interactive game to start off the day. 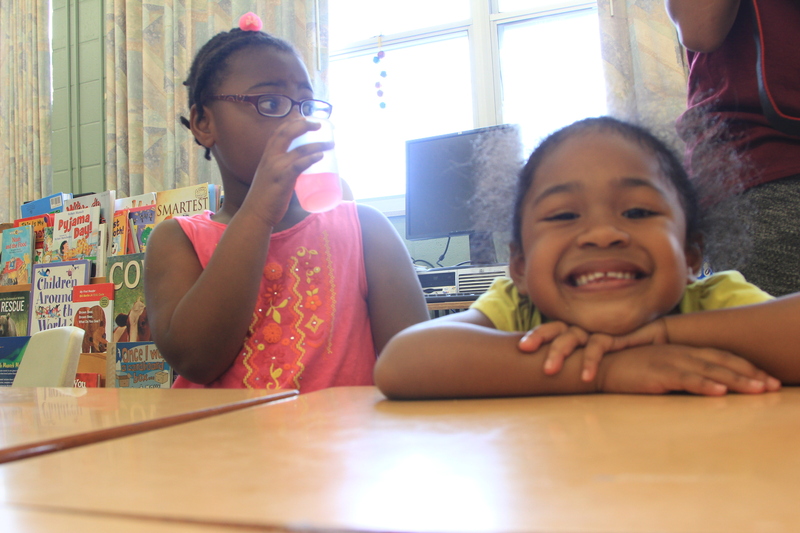 Afterwards, they are given the choice to go outside to play soccer, go to the park, or play any activity they’d like. Ultimately, the campers’ request are prioritized and met. After break, the campers are separated into their age groups to participate in the activity they choose. This is where they can practice and master their crafts. Acknowledge Positive Movements offers basketball, art classes, drama classes, and reading and writing. Every week, campers go on a trip and go to the local swimming pool to swim. say cheese! Campers are always energetic. Acknowledge Positive Movements run from 9 am to 4 pm from July 7 to August 1. 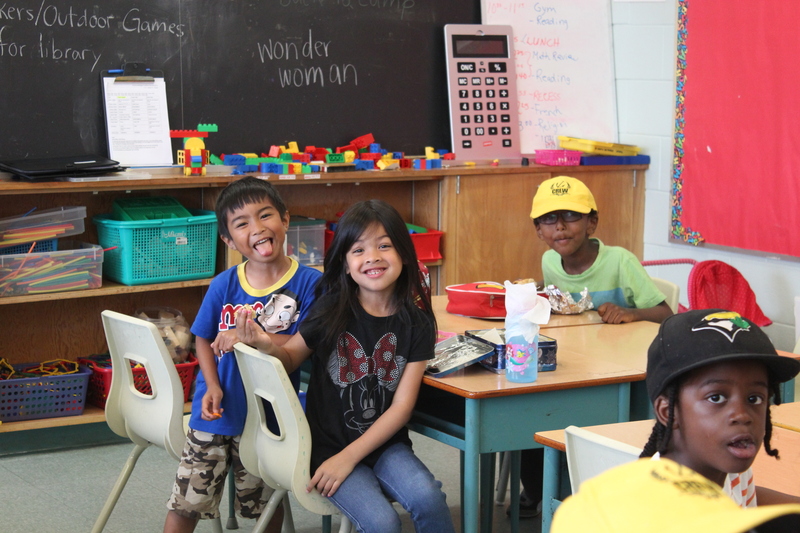 Every day is an adventure as the campers learn new things from their amazing counsellors and volunteers. These staff not only love what they do, they put all their effort in making sure that camp is running smoothly.The campers are encouraged to aim higher and work harder, making their dreams reality. 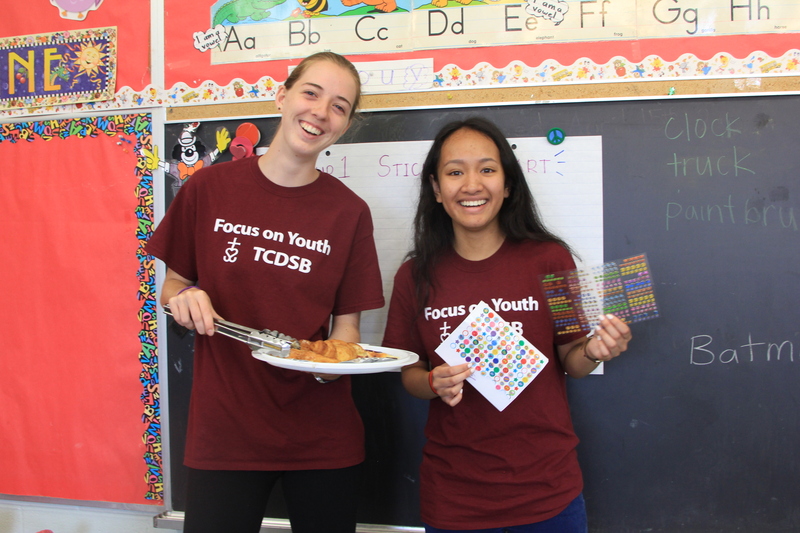 Focus On Youth staff [left to right] Claire Richardson and Raizel Harjosubroto. 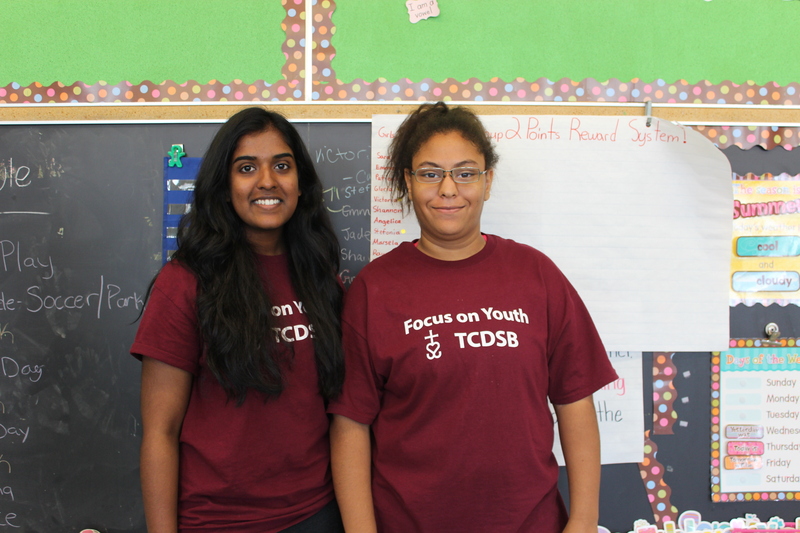 Focus On Youth staff [left to right] Hashveenah Manoharan and Marina Fidilio. 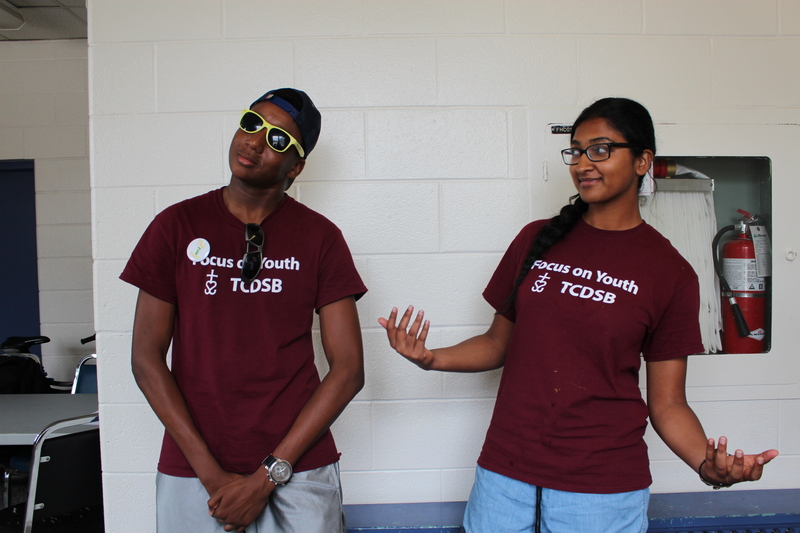 Focus On Youth staff [left to right] Philip Rhule and Christarin Dilkumar. Campers showing off their big smiles. Always smiling for the camera! 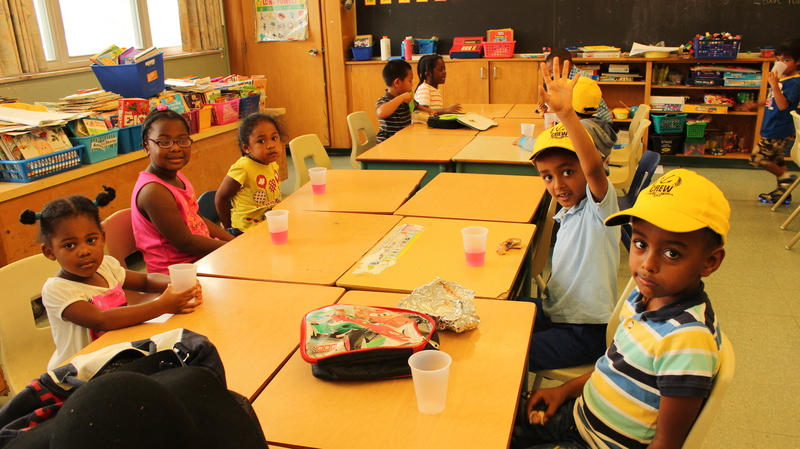 Campers are having fun with their daily snacks at camp. This entry was posted in Organization Profiles. Bookmark the permalink. ​All the best with such special work, I hope you have yet another incredible summer!